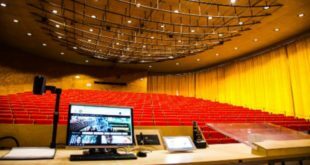 The Royal College of Physicians has become the first professional body globally to deploy Sennheiser’s new SpeechLine Digital Wireless microphone system. The college, located in Regent’s Park London, purchased 34 channels to replace its existing radio microphones system and to increase the number of channels available. 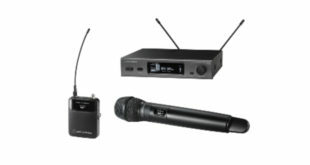 SpeechLine Digital Wireless is the first solution to meet the demand for a wireless microphone purely dedicated to speech. ISE 2016 saw an expanded range of capabilities showcased, which enable simultaneous, multi-room implementations of multiple SpeechLine systems, alongside Dante support for IP network compatibility and management via the new Sennheiser Control Cockpit software. 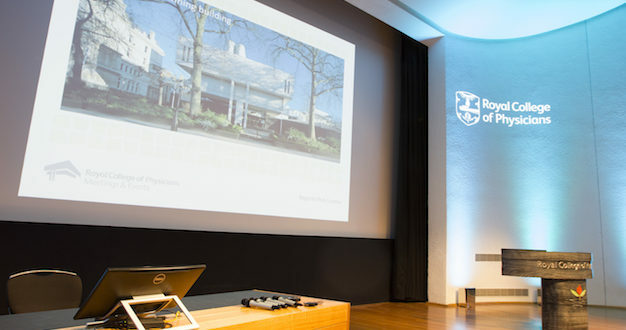 The RCP Meetings and Events department operates the conference and events arm of the Royal College of Physicians. The unique Grade 1 listed modernist building boasts a capacity of 10-400, making it ideal for hosting a wide spectrum of events, both medical and non-medical, as well as hosting functions ranging from large international conferences to private dinners and garden parties in its unique medicinal garden, which contains over 2,000 medicinal plants from around the world. The RCP team chose the SpeechLine Digital Wireless microphone system because they were impressed with its audio quality for voice and because it uses DECT technology rather than traditional RF, which has become increasingly difficult to manage as competition for frequencies has intensified in Central London at a time when the government has been selling off more of the spectrum. 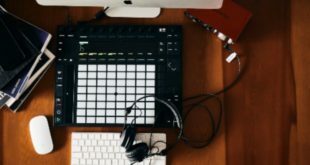 The pairing function and some of the additional analytics are also seen as being very helpful to how the microphones are managed in a very dynamic meeting environment, where a lot of the systems will be used in different configurations in various spaces during a single working day. 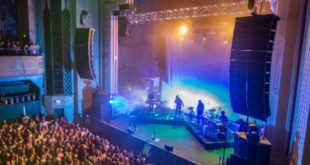 Ten channels (six lapels and four hand held microphones) have been installed by AV system integrator ZAVI Ltd in the Wolfson Theatre and eight channels (six lapels and two hand held microphones) have been installed in the Seligman Theatre. The remaining 16 channels have been put into flight cases for use around the building where required. Ben Pain, RCP technical and AV manager, commented, “When we were looking to replace our existing radio microphone systems, our criteria were: excellent audio quality and intelligibility of the spoken word; as consistent performance as possible regardless of location within our meeting spaces; as little interference as possible; and a simplicity of set-up and use that allowed for intensive use across a complex schedule of events.